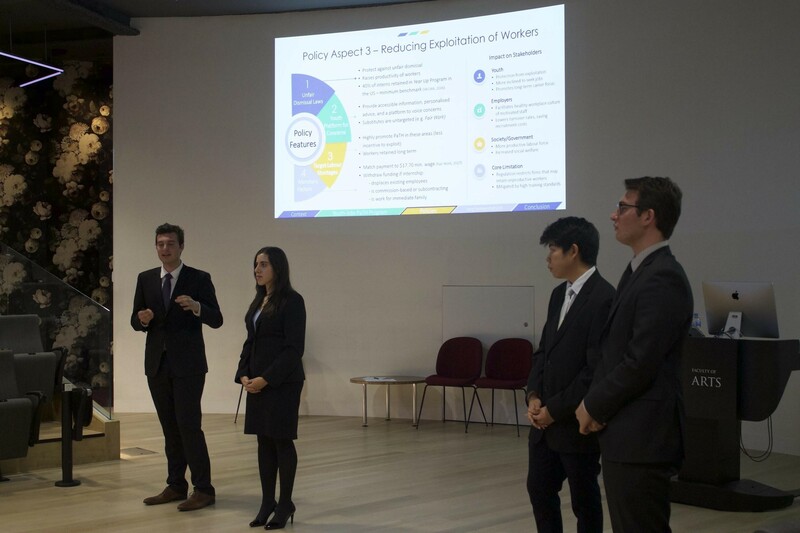 Bachelor of Commerce students from the Economic Student Society of Australia reveal how students could improve the Australian Government’s youth employment initiatives through their Public Policy case Competition. A unique competition presented by Strategy&, ESSA’s Public Policy Case Competition offers the only Australian case competition allowing students to engage with pressing economic issues. Satkunam believes it is important to offer case competitions in the public policy space because it advocates for an application of skills that tackle social welfare and exposes students to what a Commerce degree can help you achieve in society. As she points out, "It’s only too easy to move through your degree and forget that our university principles can be applied to so much more than a simple profit directive." 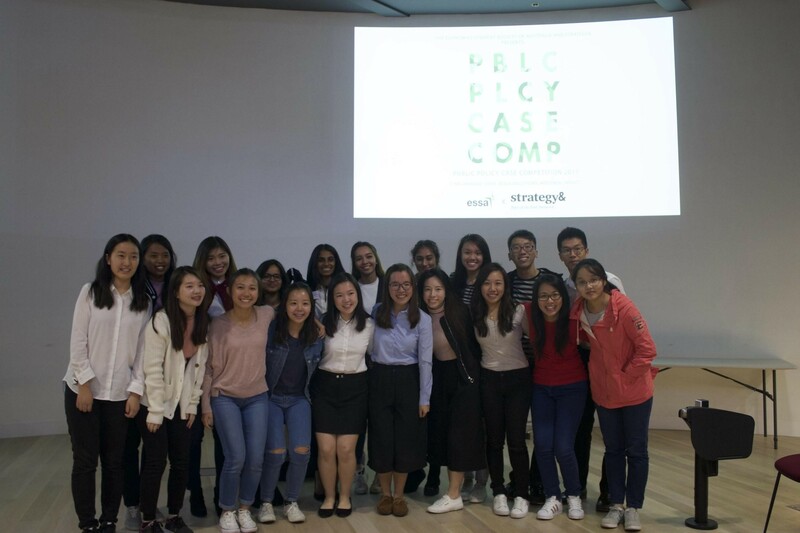 2017 was a truly national event with economics clubs from the University of New South Wales, University of Queensland, University of Western Australia and the Australian National University, in addition to the University of Melbourne all participating as well as the competitions first international entrant from Nanyang Technological University in Singapore. Out of the over 100 teams who registered for the competition, four were selected to present at the finals offering their own policy solutions to the Government’s PaTH scheme. Proposals varied from minor, practical adjustments to the existing PaTH Program, to dynamic overhauls of the status quo. 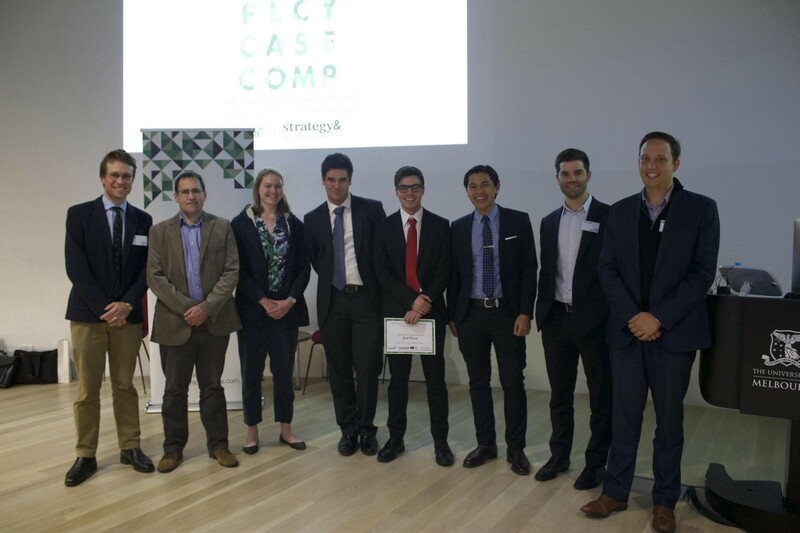 The judging panel, which included representatives from Strategy&, Deloitte Access Economics, The Department of Treasury and Finance, The Grattan Institute and The Melbourne Institute, were impressed by the quality of the students presentations and applications of economic theory. Congratulations to the winning team, ‘Absolute Advantage,’ which consisted of University of Melbourne Bachelor of Commerce students: Phillipa Bezas, Zecheng Han, Jaeger Konidaris and Sabre Konidaris, who shared their experience with us below. What was it like being involved in the Public Policy Case Competition? Konidaris, J: We had never undertaken a policy-based case competition before, so this was a fantastic opportunity to go beyond the classroom approach of problem solving through an economics lens. Han: Yes, and in addition, being able to receive indispensable feedback from industry professionals in both the public and private sector helped me forge new perspectives in understanding policy considerations. What were your suggestions to improve the PaTH program? Konidaris, S: Our focus was on reducing structural unemployment and the exploitation of youth workers. We proposed a course referral system to help youths achieve qualifications relevant to emerging sectors, and suggested relocation assistance to those moving to areas with specific skills shortages. A centralised online job matching service was also suggested to bypass employment agencies and centralise qualification verification. Reflecting on the current PaTH program, we suggested that the initiative should focus on employment shortages in specific sectors, and employ greater provisions over the issuance of subsidies for internships. The Absolute Advantage team took home a $1000 cash prize and industry mentoring with The Department of Treasury and Finance. Congratulations to the ANU team ‘The Rent Seekers’ who secured second place and the ‘WAIS Institute’ team from the University of Melbourne who won the First Year Prize. The Economics Student Society of Australia (ESSA) is one of the largest student-run economics clubs in the country. ESSA runs regular articles and a podcast, “Nominal Interest’. Find out more about ESSA.